Routine vehicle inspections help drivers uncover unsafe conditions before they cause accidents and crashes, find mechanical problems before they lead to breakdowns, and prevent being placed out of service during a roadside inspection. Vehicle Inspections: Tractor-Trailers will help your drivers learn how to conduct proper pre-trip, on-the-road and post-trip inspections. Thank you for your interest in previewing the Vehicle Inspections: Tractor Trailers online course. Please register or log in to watch free previews, browse the course library, purchase training points, and more. 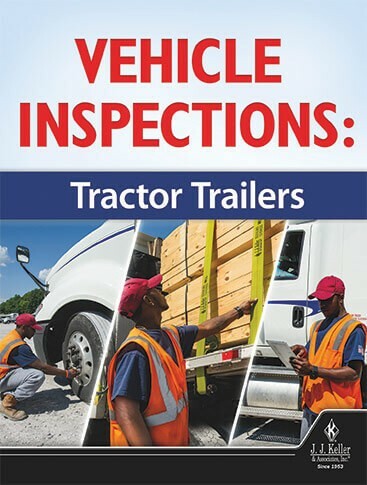 Thank you for your interest in previewing the Vehicle Inspections: Tractor Trailers video program. Please register or log in to watch free previews, browse the course library, purchase training points, and more.